I was welcomed home to Chicago from visiting family on Christmas Day by a cold house and a gas furnace that wasn't working. The next day a repair tech gave me the bad news about a blown circuit board that would cost over $500 to replace. But I heard that were was a $1500 tax credit for energy efficient upgrades that was expiring at year end. With $2000 in “free money” to spend, I thought maybe furnace replacement might be a better option. At eight years old, the furnace might have more years of life. But it was a “developer special” – that is, a basic workhorse model that was not particularly energy efficient – only 80% Annual Fuel Utilization Efficiency (AFUE) rated – or with other features I might like. My hot water heater dated to the same time and was probably closer to needing to be replaced, so why not do them both at the same time? Maybe I would even go super-enviro friendly with a tankless model water heater. This is exactly what the stimulus was supposed to be stimulating. Unfortunately, the reality didn't work out like I thought it would, and in a way that shows the challenge of doing energy efficiency retrofits in urban areas. I had my heating company come out to give me an estimate on replacement for my furnace and hot water heater. Immediately, I learned that there were problems. Chief among them is that newer, energy efficient systems recycle heat that previously went up the chimney. This makes their exhaust much cooler, and requires special chimney pipes that are plastic, not metal. My old chimney wouldn't work, nor could a new pipe be inserted through it, since my water heater and furnace shared a chimney and there wasn't room to install all the piping needed. They'd have to punch new holes in my roof. I'm on the top floor of my 14 unit building, which means this is actually doable, but it would cost money and require getting permission from my association. It’s also not something I'd want to take on in the winter unless absolutely required. And, as it turns out, I might not have a big enough gas line required to feed regardless tankless water heater. Tankless units consume less energy overall, but they do burst at higher output, requiring heftier gas supplies. I decided to just fix the circuit board. According to the heating company, if I lived in a single family home, this would probably have all been a non-issue. First, no permission would be needed from anyone, and generally furnaces and such are located where you can just punch an exhaust line directly out the side of the house. This makes upgrading a snap. But since I'm in an urban multi-unit building, things aren't so easy. What's more, even though I and the other person who live on the top floor might be able to make an upgrade happen, the other 12 units below us will never be able to upgrade to energy efficient heating because it is impossible for them to run new chimney pipes to the roof. That is, unless a new generation of technology vents through older metal chimney pipes. In essence, then, my building is permanently precluded from installing high efficiency heating – although the structure is less than a decade old. Gas forced air is the standard heating solution for new construction in Chicago and much of the Midwest. This may not apply to the largest buildings, but certainly to single family homes and most of the new construction condos in Chicago. Being able to upgrade building systems is key to energy efficiency, because buildings are the number one source of carbon emissions. In the city of Chicago, about 70% of all carbon emissions come from buildings. And while multi-unit buildings may be inherently more efficient in some regards, they create huge challenges for upgrades because of all the shared infrastructure and lack of access to the roof, exterior walls, and utility feeds. This might not apply in some cases where there is, for example, a shared boiler where one upgrade takes care of all units. But for most new construction condos outside of high rises, I strongly suspect they were built without energy efficient furnaces and in a way that effectively precludes upgrading to current technology. This shows the need for infrastructure and buildings that are designed to physically evolve over time. With rapidly changing technology, a “build once for the ages” approach is no longer appropriate. Even if codes were changed to require energy efficient heating at the time of construction or the installation of provisions for gas supply and venting, it would only deal with the here and now. We'd be fools to believe we are never going to want to upgrade things again in the future. The things we buy become obsolete more rapidly than ever. Consumer electronics companies have solved this with a short product cycles and rapidly declining costs that assumes the things you buy will be disposable. We should think about this principle as applied to buildings, but we're probably a long way off from that. This is a difficult challenge and one that requires significant thought and trial and error as technology doesn't always evolve like we think it will. I was very proud of myself for being forward looking enough to run network cabling to every room when I renovated an 1898 house back in the 1990s. A few years later wireless rendered that investment in wires itself obsolete. But it's worth the effort to try to find a solution. From our highways and transit systems, to water and sewer lines, to our buildings, we are facing a huge overhang of required replacements and upgrades, much of the cost driven by a need to bring designs up to new, modern design requirements and the state of the art. We could spend an enormous amount of money doing this only to find ourselves right back in the same boat a few decades down the road when things are old again, and society's desires and technology have moved on to the next generation. In an era of ever greater technology change, finding a way to ride the upgrade curve effectively is an imperative. Submitted by bmarr on Thu, 01/03/2013 - 10:17. Another problem with installing a high efficiency furnace in Chicago is the building code. Most of these furnaces work best vented out the side through a wall. 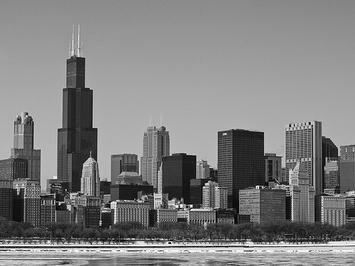 The Chicago building code requires that buildings be separated by at least 10ft. for side wall venting. Most residential buildings in Chicago were built years ago where the code required a separation of only six feet between buildings, which now makes it impossible to install a high efficiency furnace in most Chicago buildings without violating the building code. Submitted by Jack17 on Wed, 09/28/2011 - 03:29. Thank you for all your efforts that you have put in this. Very interesting information. I like this site very much so much superb information. The difference is really small anyway. Submitted by lyle on Thu, 01/13/2011 - 10:09. Efficency needs to be viewed in the context of economics. Given the difference between an 80 and a 90% efficent furnace is about 10% of the fuel bill, the expenses of the new chimney liner as well as possibly running a drain pipe (if you have ac its already there) as a 90% furnace condenses its water which is why the new liner is needed. To give another example, living in South Texas and given the orientation of my home, the house is good for solar, except that do much it would result in a 20 year payback which at age 60 becomes doubtful to justify. (no local subsidies here, and low electric rates because its a municipal electric utility). The main point is that efficency needs to be economic, all be it the government may play with incentives, as it did under Lincoln and the railroads. Submitted by Oneoftheworld on Wed, 01/12/2011 - 22:43. Sorry to read about your predicament, but it seems to me that there are logical flaws in your argumentation. Your current home doesn't seem to be very old, means it apparently has been built using very specialized products that fit one purpose and, as you found out this winter, one purpose only. Your 1898 house, by comparison, allowed you to fiddle through its walls network cabling. Thus the older house allowed you to do what your current house, especially the units on the lower levels, does not, viz to adjust an existing structure to new and improved technology. Imagine to try pulling cables through a new, super efficient house whose cavities have been filled with some super-duper high insulation, preferably spray foam? That your preferred technology proved to be outdated a few years later is not an comment on your old house but on the quality and/or capacity for smart foresight. Perhaps the solution is less than more 'planning' in advance, means anticipating the future that is always unknown. After all, planned economies have failed everywhere at all times. Your argument, instead, displays the typical way architects and planners think: anticipating all sorts of possibilities, but incapable of dealing with what life throws at them, suddenly. My guess is that older houses with simpler, less made-to-measure technology have an inbuilt redundancy based in historical 'inefficiency' that super-efficiency and dreams about easy replaceability cannot match. Vide, for example 18th and 19th apartment buildings in Paris, Rome, Berlin, London, and, perhaps even, in New York and Chicago. You seem to suggest that the not so easy replacement of parts in buildings is the problem; well, why bother with replacing a part? Move on into a new building if and when your furnace breaks would have been the adequate response if replacement was your issue. But I am glad that in the end you did the sensible thing: replace that broken part and don't worry about efficiencies as displayed on consumer labels. That on demand water heaters are more efficient is another myth you seem to favor, perhaps driven by your belief in efficiency. Endless, means unlimited by tank capacity, hot water supply easily means endless showers. Though thinking about it, perhaps endless showers are the only reason why one should go for those 'green' water heaters as they finally overcome the limitation of water tanks; well worth I guess the price of updating some old, too small gas pipes. Submitted by Rick Harrison on Thu, 01/13/2011 - 08:11. When we recently built our Green Certified home I had quite a few "consultants", all of which had no financial gain from a particular solution (no vested interest). When it came to water heaters I originally wanted an on demand heater. It was explained to me that such a heater gave full "flame" when on demand (tankless), thus used quite a lot of energy (when used). Then it was suggested that each of the main sinks we were going to use should have a smaller instant on water heater because the "shower-bath-diswhaser" main one would be using far too much energy for a smaller use like cooking or washing ones face. The dollars quickly piled up. Then most of the consultants (not all) said that modern water heaters are so efficiently insulated that they recommended to just get a good one and put the money instead in the HVAC where most of the cost-benefit would occur. Lasty, to make this point, we have a high effiency water heater that is actually the standard one my builder uses (no extra cost). We had a power shortage a few months ago and lost power for two days which shut down the controller for the water heater, yet after two days we still had hot (warm) water, so that is how efficiently it was insulated. Submitted by Rick Harrison on Wed, 01/12/2011 - 18:43. 14 Years ago I bought a 1936 Cape Cod home in Minnesota. The original windows formed ice dams and I replaced all of them (no energy credit) for $8,000 with energy efficient replacements. Needless to say a 1936 Cape Cod home is about as energy efficient as a Hummer towing a Yacht. Replacing the windows made the home look updated, but with 1936 walls, the home was only slightly more energy efficient. To make a much larger difference we would have needed to seal off all of the walls and ceilings, something which would have been enormously expensive to do properly in addition to replacing the HVAC to a more energy efficient system, both of which I decided paying a high energy bill in the 4 deep winter months was much less expensive unless I was to stay in the home for decades. Very few people will be in their home for decades, and as such an investment to have significant gains in a old home is likely to benefit the next resident more than the first. This brings about the second problem - appraisals do not take into account the investment in these upgrades and provide a likewise increase in value. When I recently built my Green Certified new home, the energy savings elements had zero increase in home value. Unless the appaisal industry values the investment enough (if at all) there is no short term recovery in investment. This new green home I built is very much like the home I built in 1994 and in 1983. We have 6" thick walls with pretty much conventional stick construction (I used 10" thick walls in 1983). Your thoughts about having homes somehow upgradable is an excellent idea, now we need someone to figure out how.